You know those early Spring days when the sun is out, nice and warm, but there’s still a bit of a chilly breeze going around? That’s what inspired me to make this poncho. I wanted something light, airy and feminine that you could adapt to your own style and wear everyday. And here it is! Behold, the Flower Spring Poncho! It’s a modified version of the Bridal Shawl by Kimberly K. McAlindin using this amazingly soft and fluffy angora yarn. It is a very versatile accessory as you can use it in many different ways – buttons on the shoulder sides, buttons on the front, you can even button the two sides together and use it as a shawl/wrap or use just one of the sides as a scarf. So you have at least 3 different accessories all in one! How cool is that! 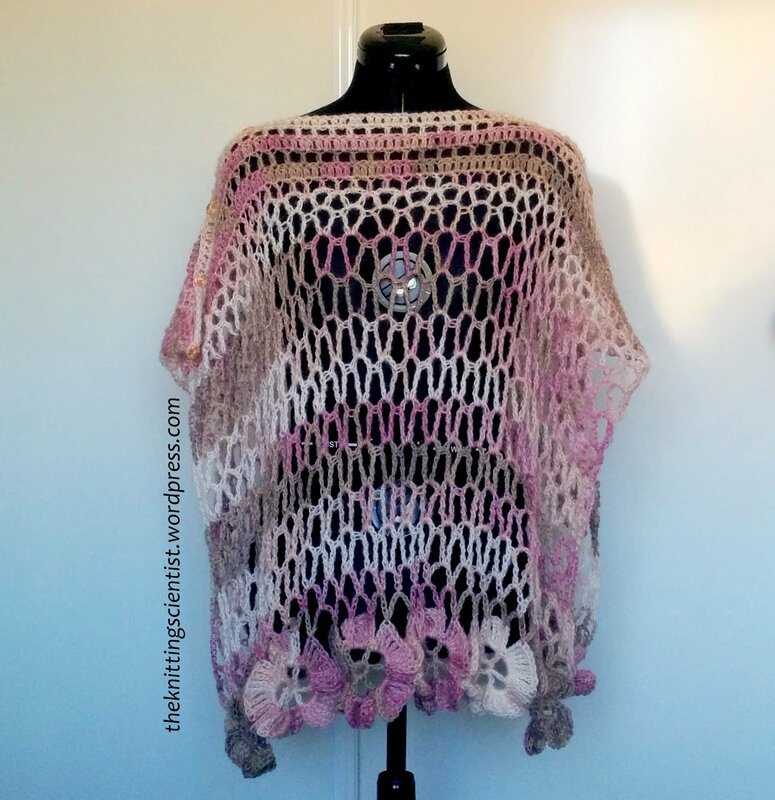 The Spring Flower Poncho is so versatile, it can be worn in so many different ways! You can find all the making details and more pics on my Ravelry project or, if crocheting is your kryptonite, you can get yourself this beauty on my Etsy shop. 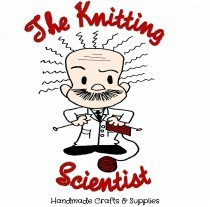 Or email me at theknittingscientist@gmail.com to customise it in your favourite colours and I’ll have the pleasure to make it especially for you!